Why does Glenn Beck support a Jihadist? UPDATE: Right on glenn But again why are you supporting a jihadi? I have to admit that I was a big Glenn Beck fan. I like what he has done to expose ACORN and other terrible groups that want to destroy freedom for everyone. 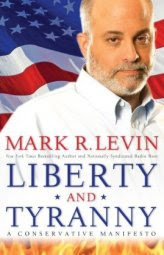 I recomend Mark Levin. He gives out his show commercial free for free too. Does Glenn Beck know that he is supporting a Jihadi? Why has he not denounced that loser yet? Supporting a jihadi makes him a big hypocrite IMHO. I am going to try to return his new book unless he denounces the support for that jihadi today. It looks like there are some great books from non terrorist supporters. What an ignoramus and/or liar Glenn Beck is. Take your pick, as it’s definitely one of those. 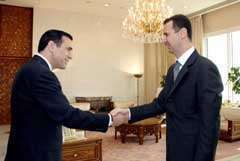 Yesterday–amid his usual histrionics and pseudo-male drama queen antics–Beck, for like the gazillionth time, gushed over Hezbollah’s and Syria’s man in Congress, “former” career criminal Darrell Issa, a/k/a “Jihad Darrell.” I’ve written about this before, on one of the last times Beck expressed his absurd man-crush on this jihad enabler. Mark Levin Talks About Obama’s Speech to the muslim world: A great short audio lesson on the middle east. This is from the best radio show ever found here for a limited time under the show for June 4th. Here is the audio clip I would embed if I could. It is amazing. It is a short lecture on what really happened in the middle east. It is jihadi propaganda free IMHO. Enjoy it. Here is the shows notes from this date. I like Mark Levin more. He gives his podcast commercial-free for free too. Check out this amazing interview from some one that is fighting the jihadis in the court room. The great one, Mark Levin give an outstanding interview where I gained an important new perspective at the problems our country is facing from radical Islam.